Why take the Online Drone Training Course? 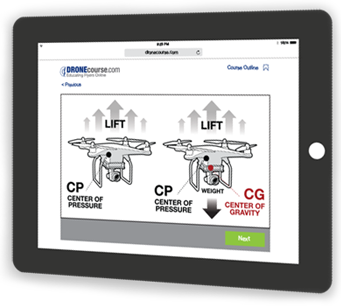 Each chapter is fully illustrated and narrated to enhance your learning experience and help you retain the information you need to pass the Drone Training Course as well as FAA Part 107 Test. Every quiz and exam question in the online course contains detailed illustrations to help explain the questions. Perfect for the visual learner!